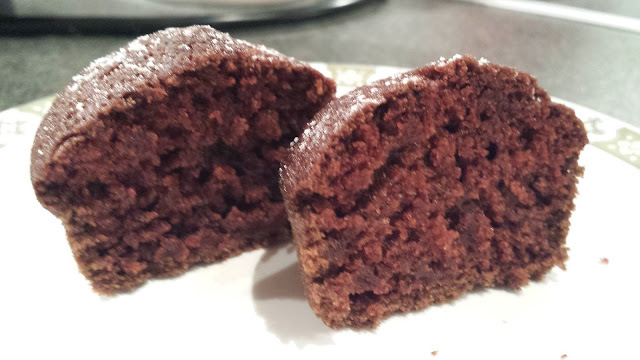 Last week was the beginning of my new Weight Watchers Wednesday slot and this week I bring you my choccy queen cakes. They are a very light sponge perfect as a small treat when you are looking after your calorie intake and counting points. Each sponge comes in at 133 calories or 4 Weight Watcher points, they are also eggless and vegan. The sponge is lovely and moist, it would in fact make an excellent little cupcake. It has some strange ingredients but it does work and tastes yummy, I hope you give it a go! Also this yet again is the most easiest thing you can bake! 1) Pre heat oven to 180c/170c ( Fan ) / 350F / Gas Mark 4. Grease and flour a cupcake pan or line with cupcake cases. 2) Sieve the flour, sugar, cocoa, soda, and salt in to a bowl, set aside. 3) Using a whisk mix the olive oil, vinegar, vanilla, and water together until its all incorporated. 4) Add the flour mixture in to the olive oil mix and whisk until till smooth. Bear in mind the batter will be the consistency of double cream, quite thin. 5) Pour mixture evenly into all 12 cases, and bake for 25 mins. 6) After 25 mins pierce with a skewer to see if all the cakes are cooked. Remove from the oven and turn out on to a wire rack dusting with icing sugar. 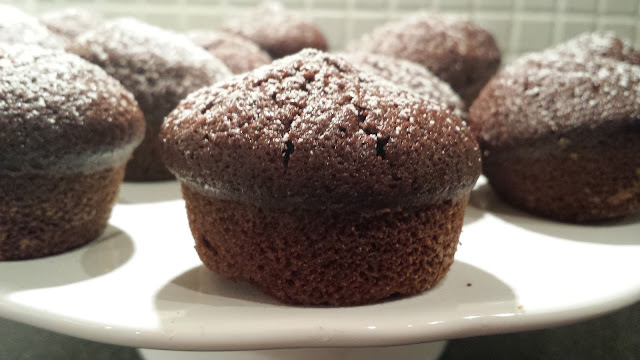 Enjoy these little cakes, they certainly boost you when you are on a diet.